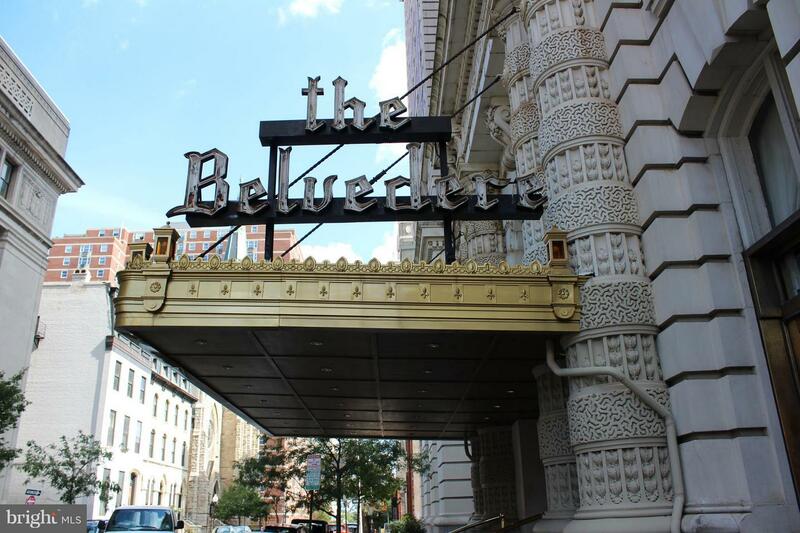 Updated spacious 1BR/1.5BA condo in The Belvedere, Baltimore's historic crown jewel. This top floor residence has captivating southern city cape views and features: renovated kitchen and baths, new carpeting, ceramic tile, custom wood shutters, walk-in closets with built-ins, 24-hour front desk concierge and security. Parking is available for a reasonable fee in the attached garage. The Belvedere is ideally located in the heart of Mount Vernon -- the center of Baltimore's cultural and historic district -- and is within walking distance to the University of Baltimore, MICA, Penn Station, and Downtown. It is conveniently located and close to highways, hospitals, institutions, restaurants, bars, universities and museums. Enjoy urban living at it's best!